As well as providing solutions for all kinds of hair loss, we are also proud to make wigs for transgender clients. Mandeville offers a personal, caring and discrete service to help you at any stage of your transition. 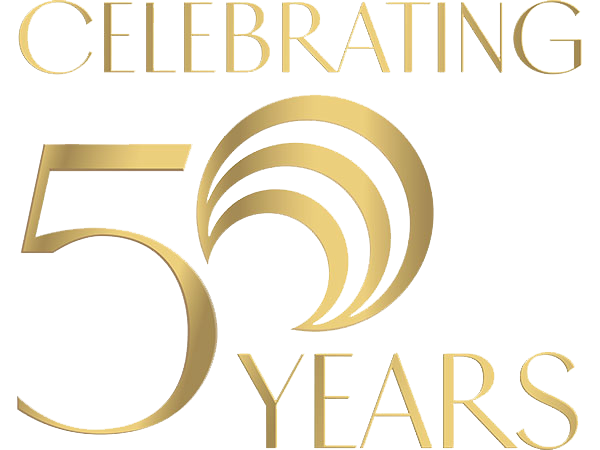 With over 50 years’ experience creating the finest handmade wigs, we understand the challenges of not having the hair of your dreams naturally. But we are here to help you achieve it. At the forefront of the wig-making industry, we are Europe’s leading specialists in handmade European hair wigs and hairpieces. Our innovative foundation materials make our wigs truly unique; We believe they’re the best in the world. Super light – weighing less than a gram – and breathable, they are almost invisible against the skin yet incredibly strong and secure. This foundation feels light, comfortable and cool to wear. Each wig or hairpiece is individually crafted using the finest quality, 100 per cent natural European hair. Our team will expertly create an entirely individual wig, which fulfils the colour, texture and length you desire. We create ultra-lightweight wigs and hairpieces that feel, move and react exactly like a natural head of growing hair. Nobody will ever know you are wearing one. 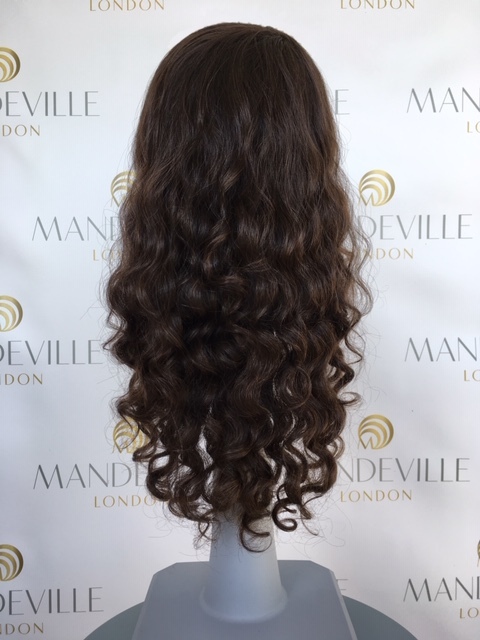 Each wig is hand-knotted with up to 70,000 natural hairs by Mandeville’s talented team of wig makers. This exacting method means that hairs are anchored following the pattern of natural growth, including the spiral of the crown, for an authentic-looking result. Our intricate, award-winning process recreates extraordinarily lifelike heads of hair. Mandeville’s collection of made-to-measure wigs, three-quarter wigs and hairpieces are crafted and handmade to your own specific requirements, including individually fitted foundation and hair matched to your desired colour, texture and length. The completed creation is then cut and styled on your head by one of our appointed hairdressers. *This completely bespoke product requires a minimum of three fittings. 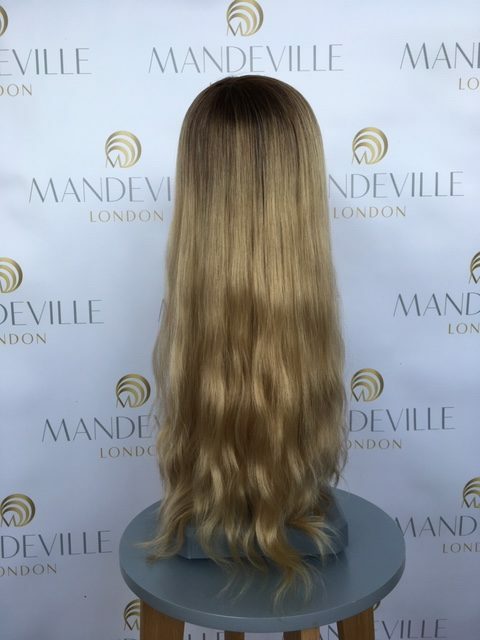 If you require a wig right away, Mandeville have created a limited collection of ready-made full and half wigs which are designed to fit most head sizes. These wigs are made with the same methods as the made-to-measure collection, using the same materials, and finished to the same exacting standards. They are available in a choice of 11 carefully selected colours using the best quality 12” European hair. Our ready-made wigs are cut and dressed on your head to your preferred style. These two services are by appointment only at our friendly London studio, where our team of experts will be on hand to give you bespoke advice and solutions, not just when it comes to your hair, but we can also advise on make-up and styling too. All our consultations are offered with the time, space and privacy to decide what’s right for you. 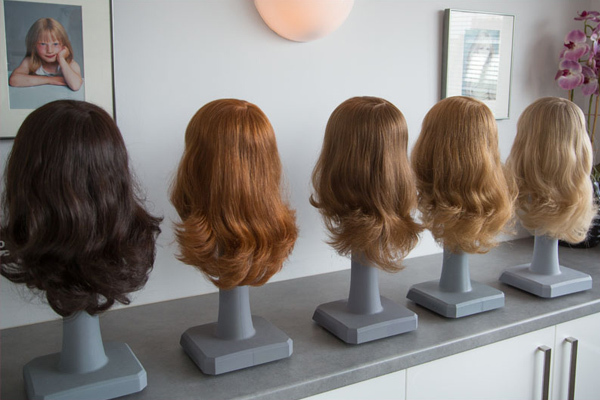 We understand that one of the things that will make the biggest impact on your transgender transition is a natural looking wig or hairpiece, and our highly skilled team are able to offer exactly that. To make an appointment for a consultation with one of our experts call us on 020 7386 5988.